Good quality starter student bow. Full size violin. 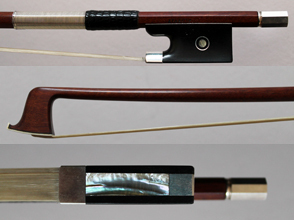 Silver mounted, pernambuco violin bow, with Paris eye ebony frog by La Salle. Finely made professional violin bow weighing in at 61gm, only one left.